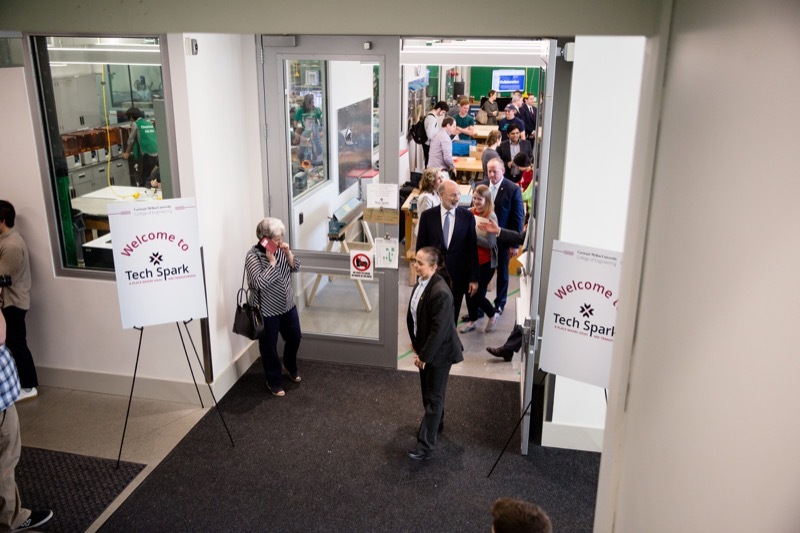 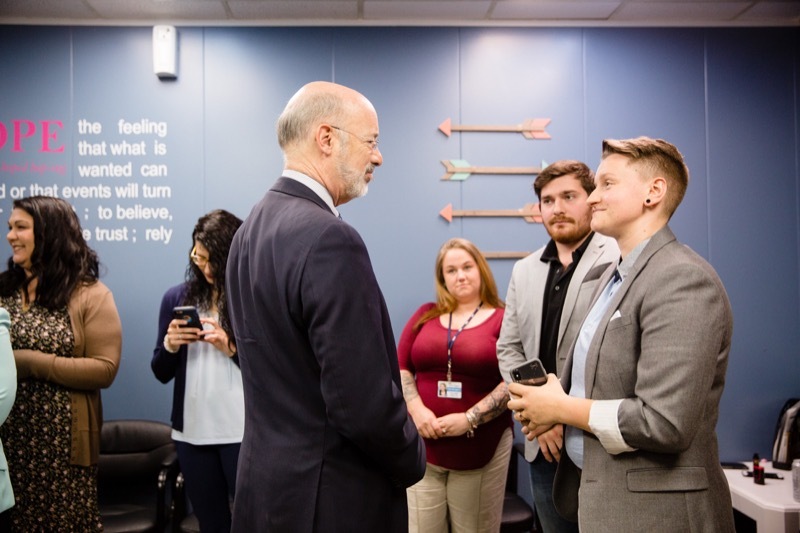 The Pennsylvania Turnpike Commission (PTC) and the Pennsylvania Council on the Arts (PCA) were joined by students, families and local and state officials today at the South Somerset Service Plaza to unveil artwork designed and created by Somerset Area High School students. 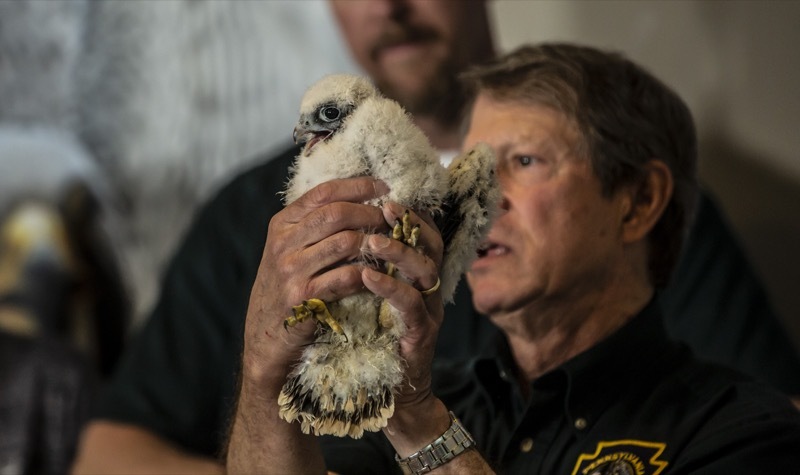 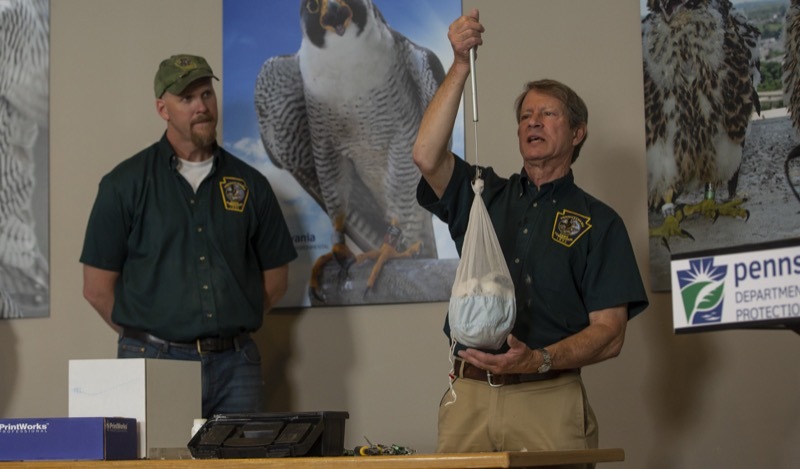 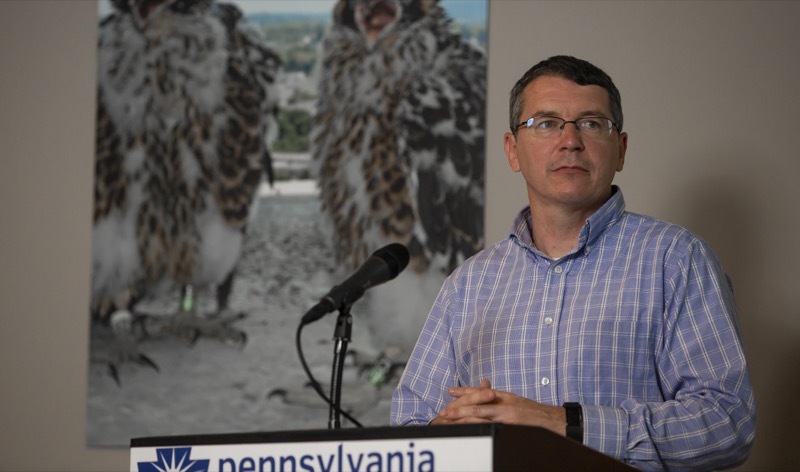 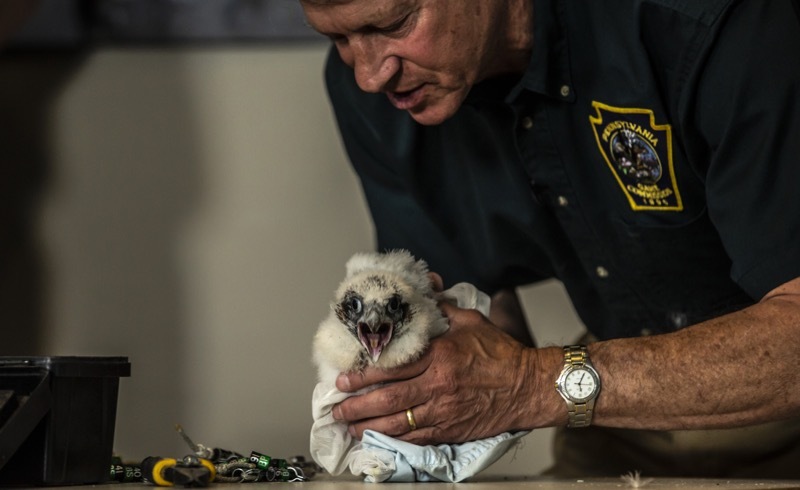 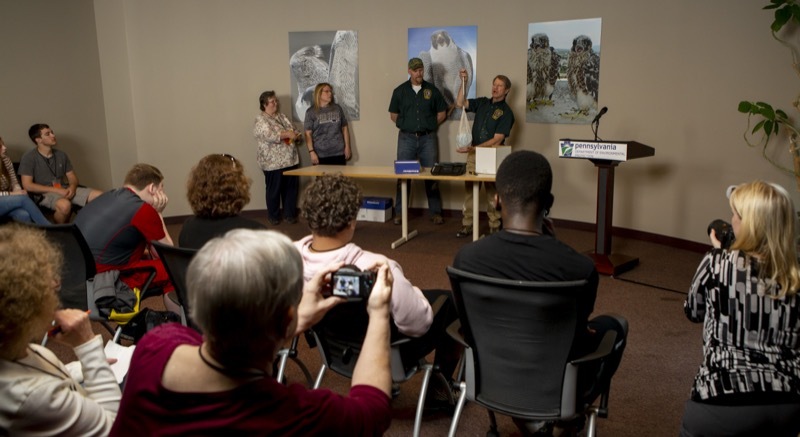 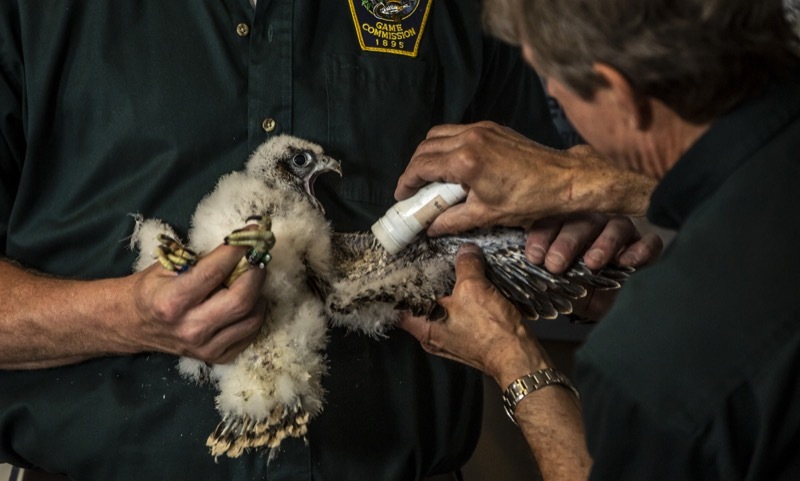 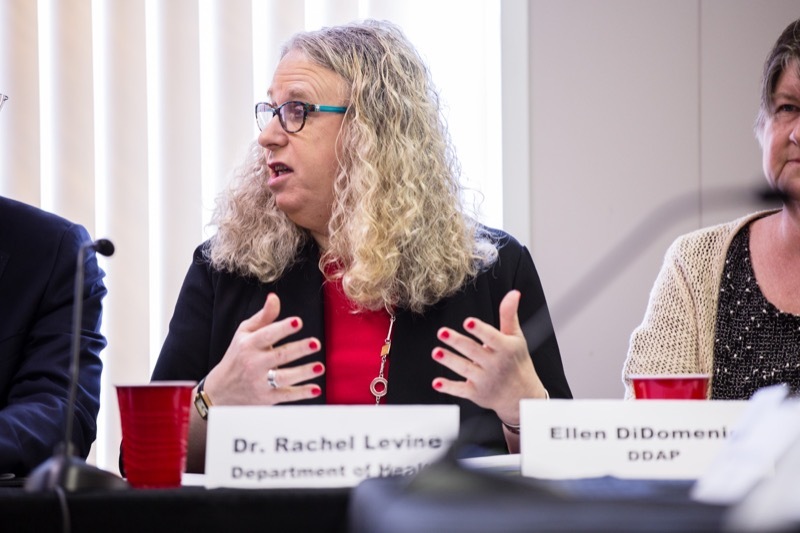 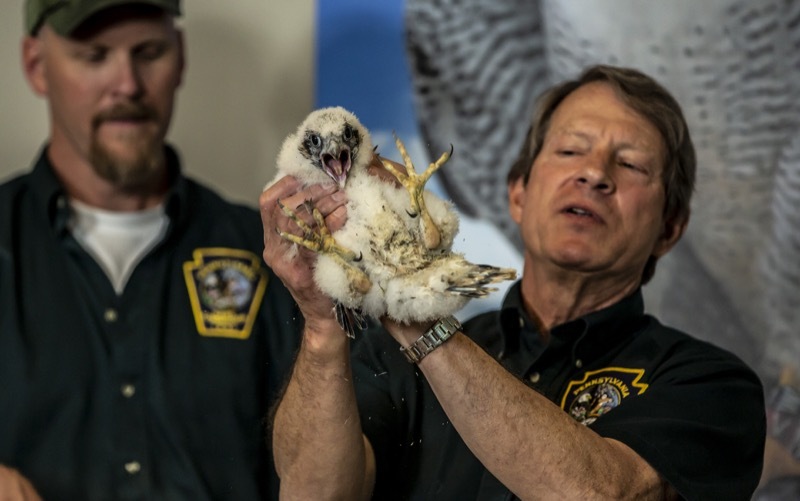 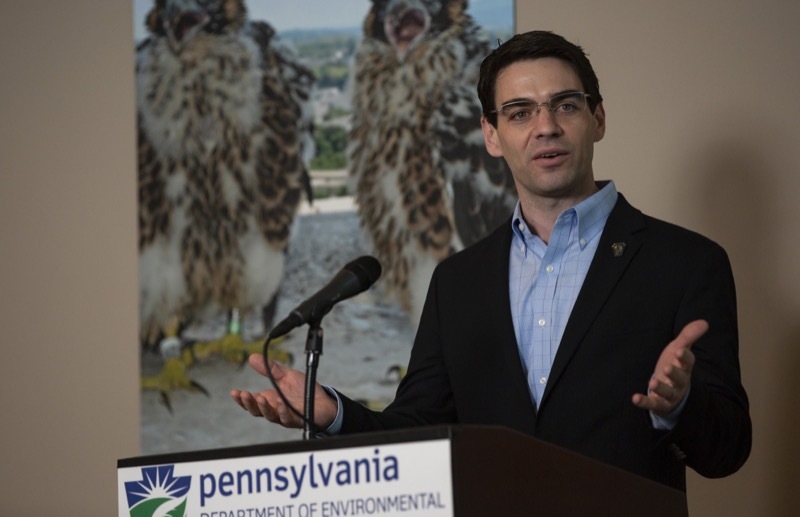 The newest Harrisburg falcons were banded today in a livestreamed educational event attended by local students and hosted by the Department of Environmental Protection (DEP) and Pennsylvania Game Commission at Rachel Carson State Office Building. 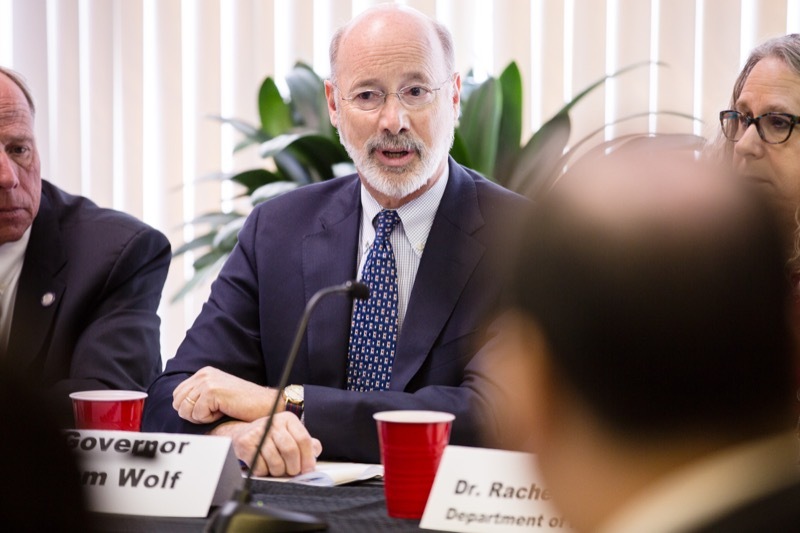 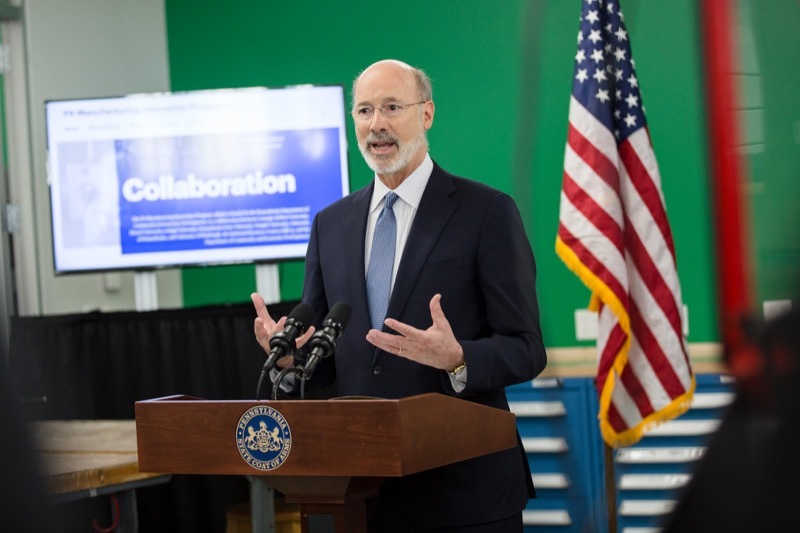 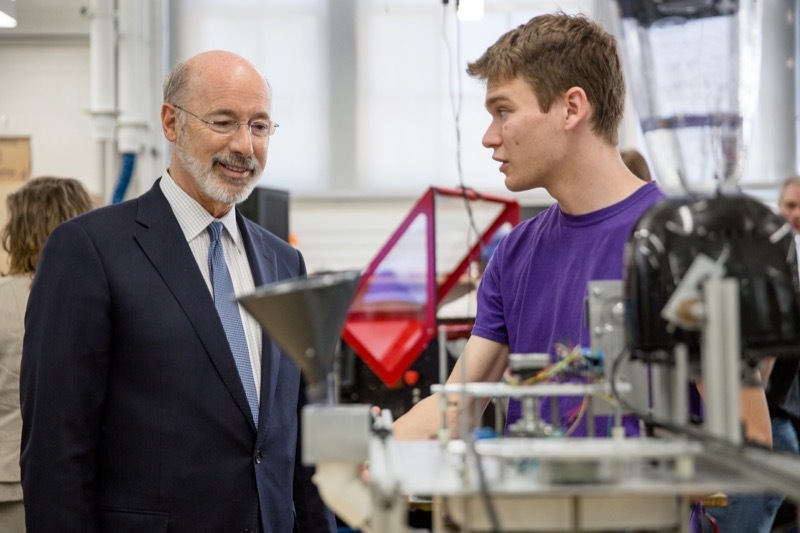 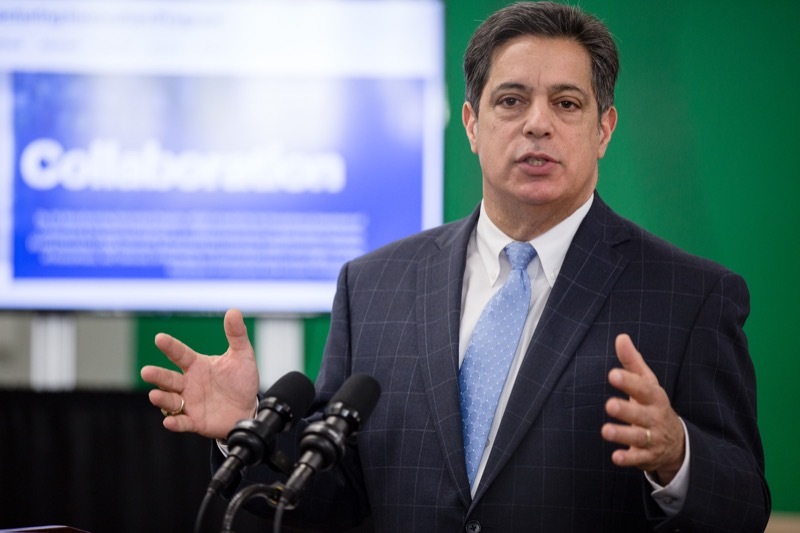 Governor Tom Wolf today announced the roll out of new grant and rebate programs to improve air quality in Pennsylvania funded by the $118 million settlement with Volkswagen Group of America, Pennsylvania's share of the settlement for allegations of cheating on U.S. Environmental Protection Agency (EPA) emissions tests. 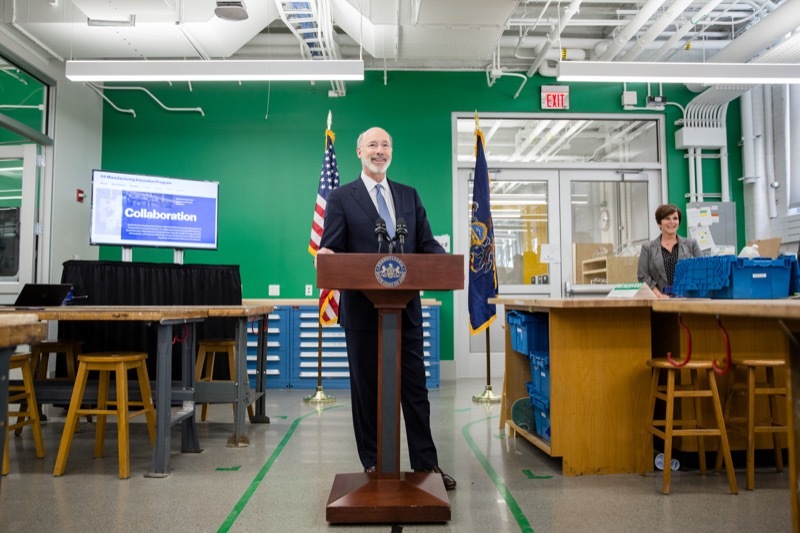 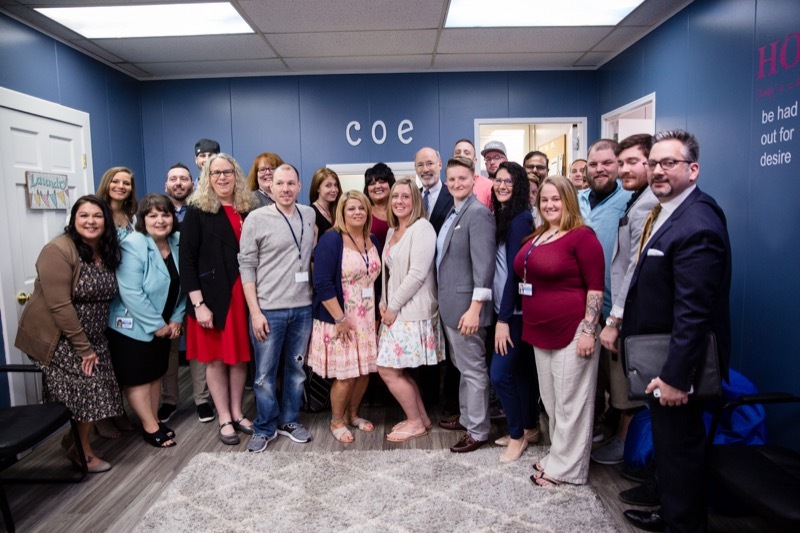 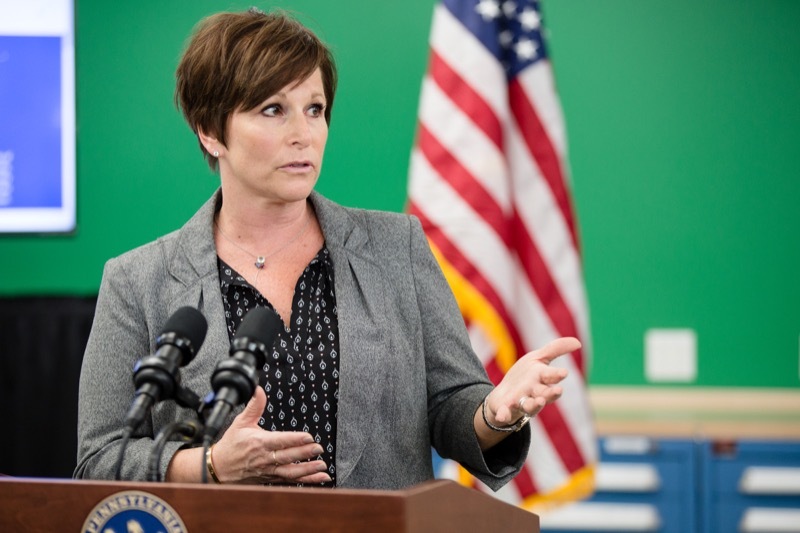 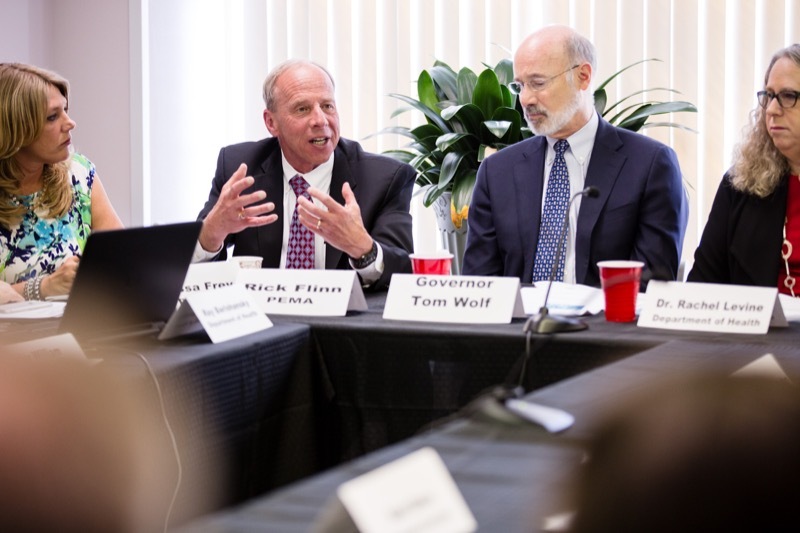 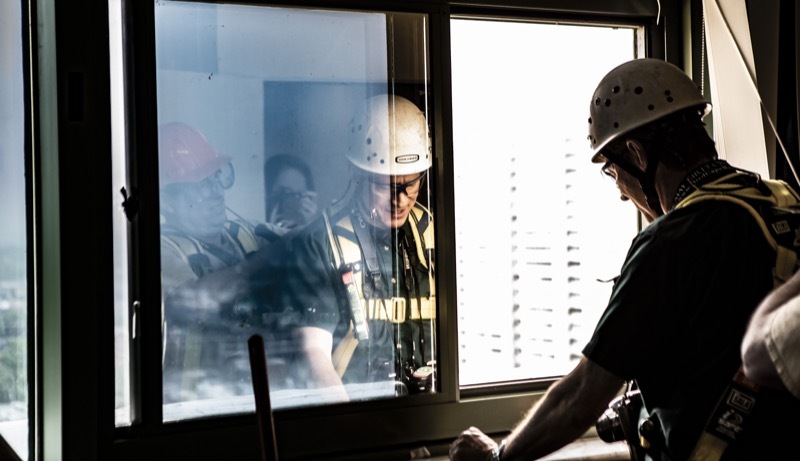 Governor Tom Wolf today announced the recipients of the Governor's Awards for Excellence and praised all state employees for their dedication to public service. 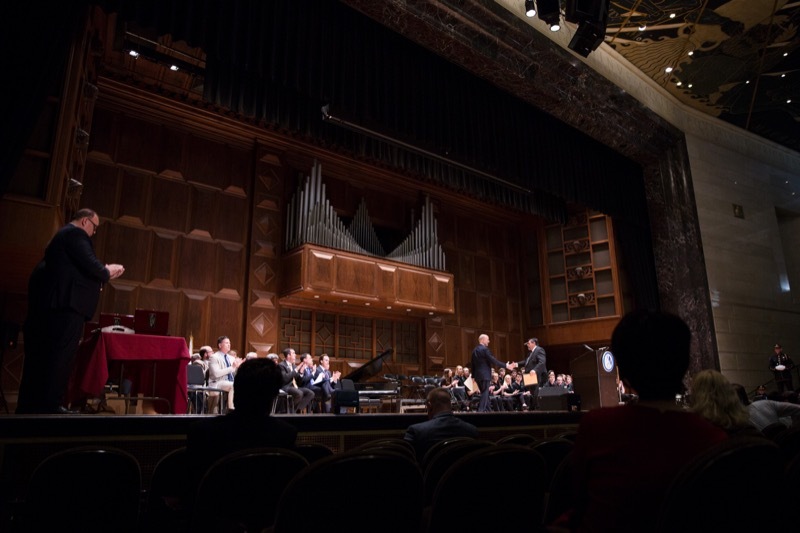 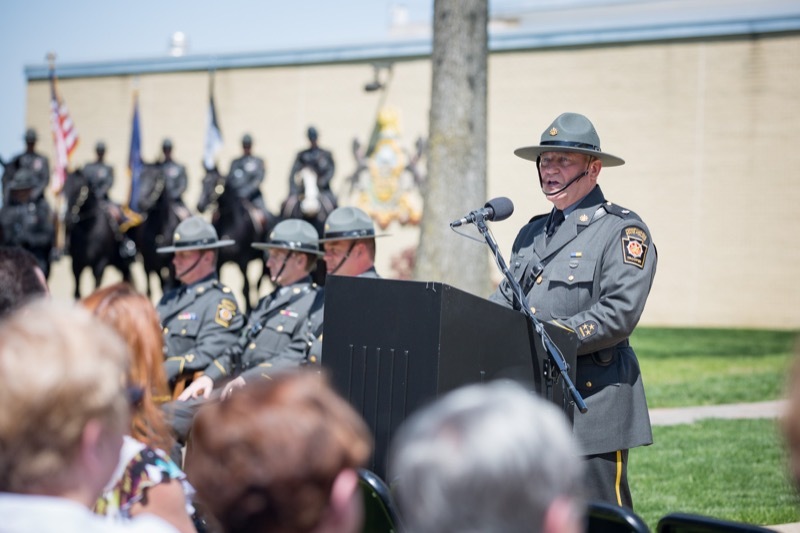 The awards were presented today at a ceremony in Harrisburg. 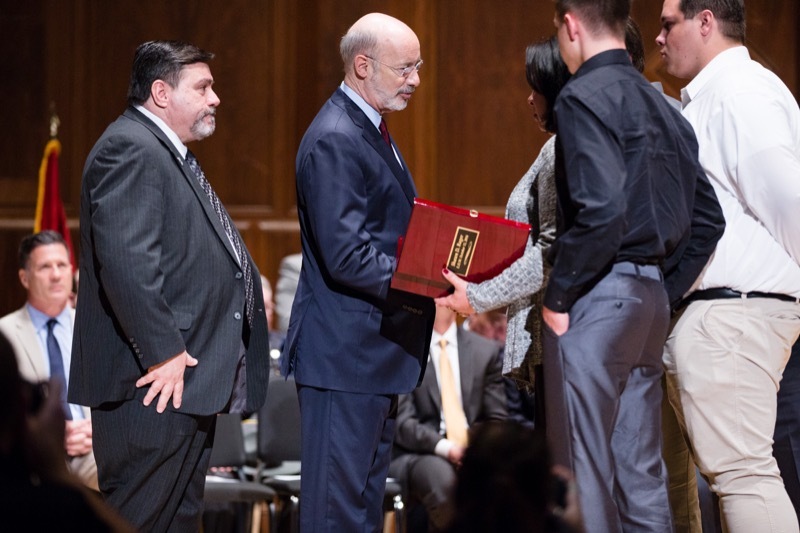 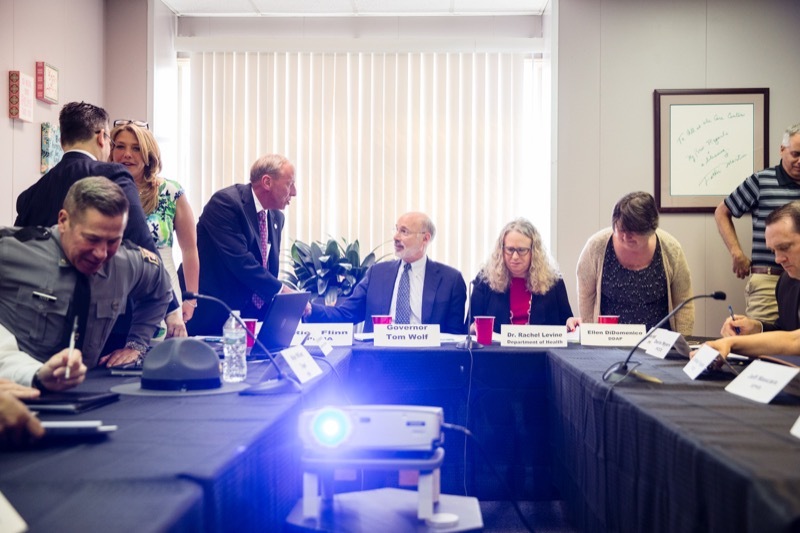 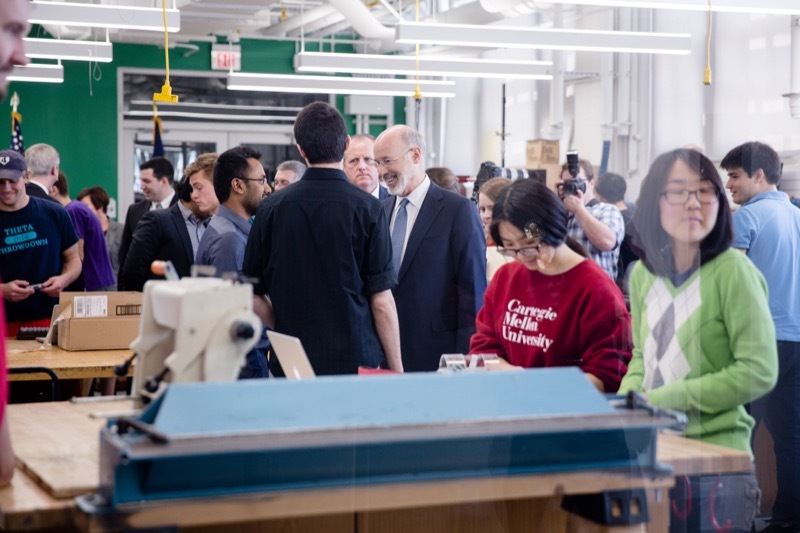 Governor Tom Wolf today honored 47 state employees with the annual Governor's Awards of Excellence and thanked them for building on his reforms to create a Government That Works. 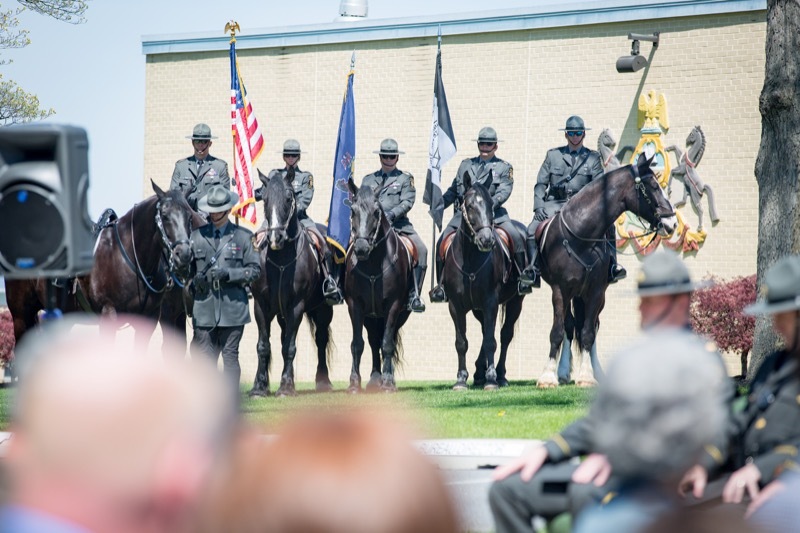 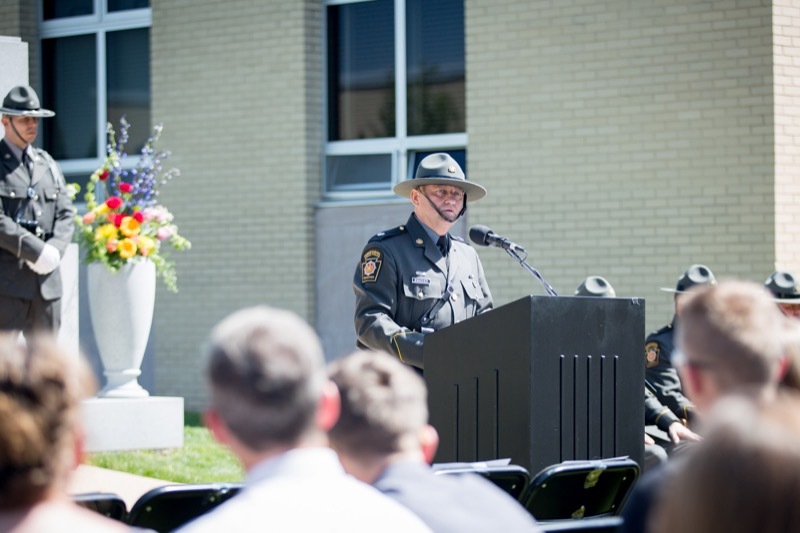 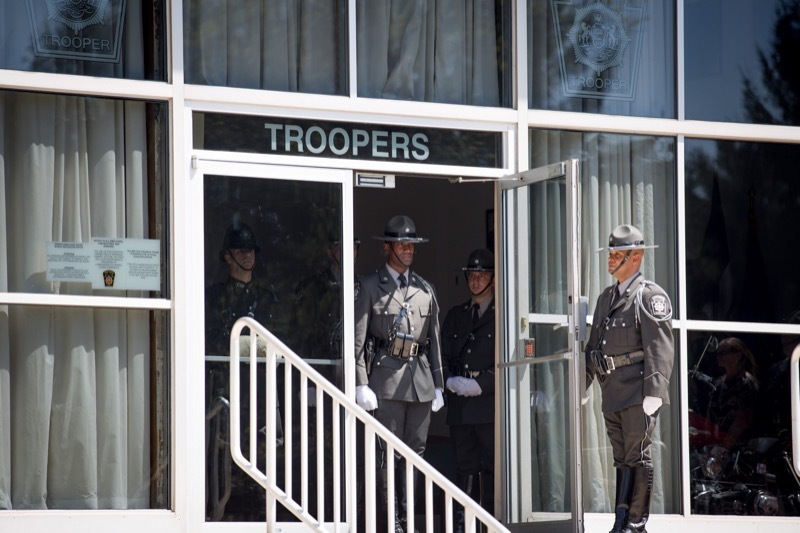 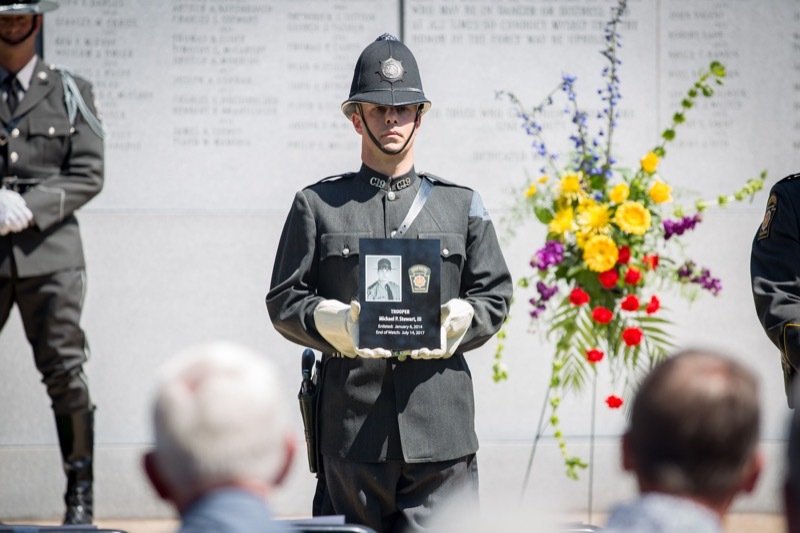 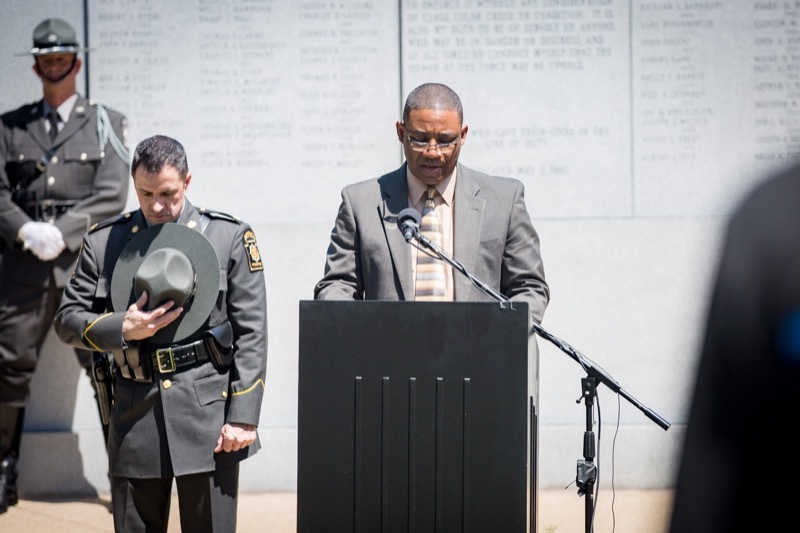 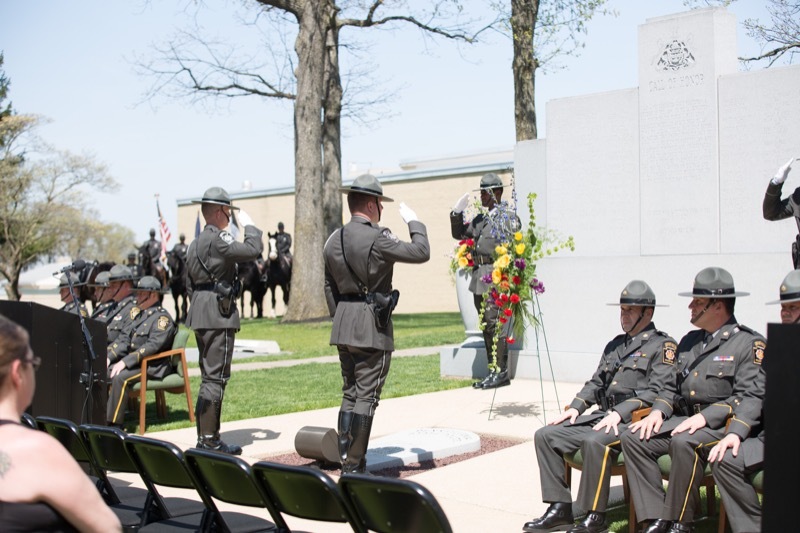 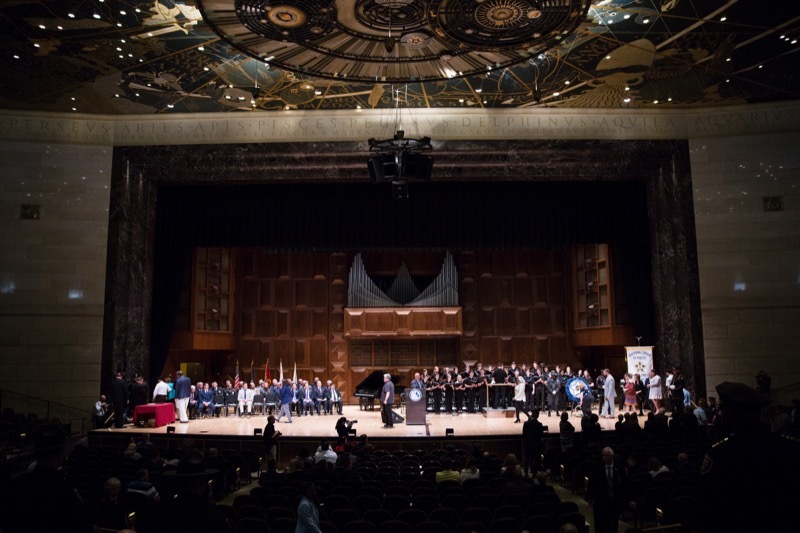 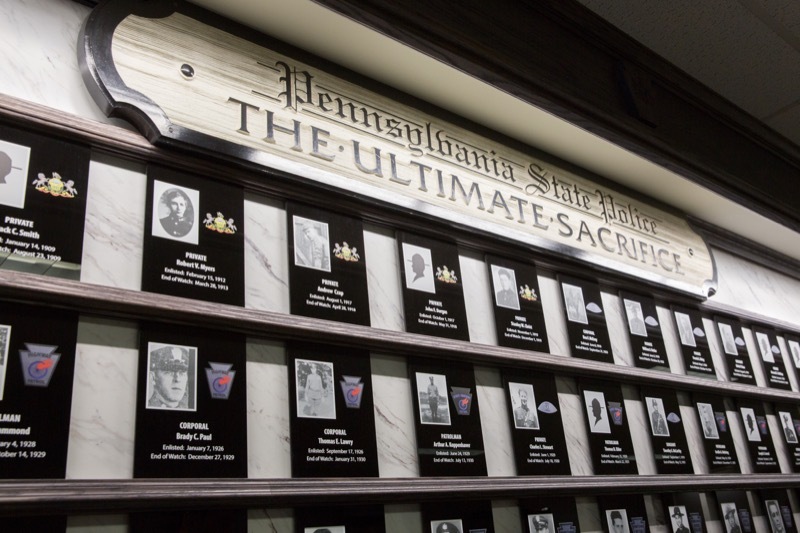 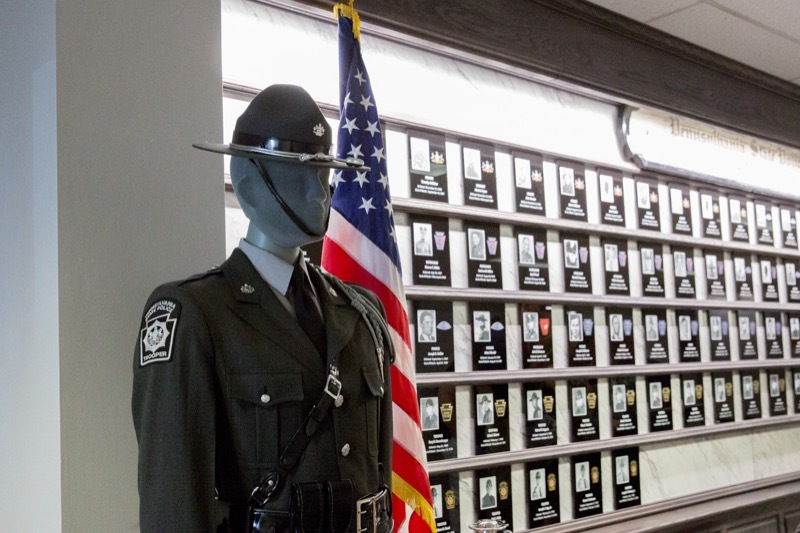 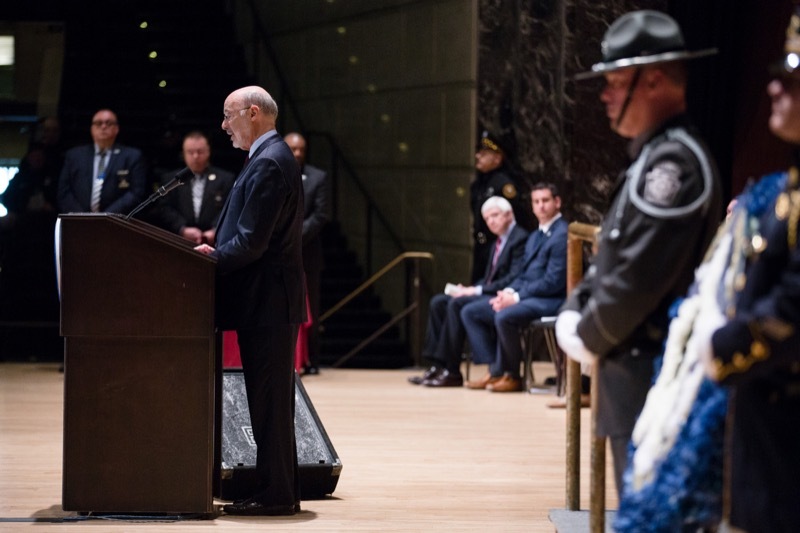 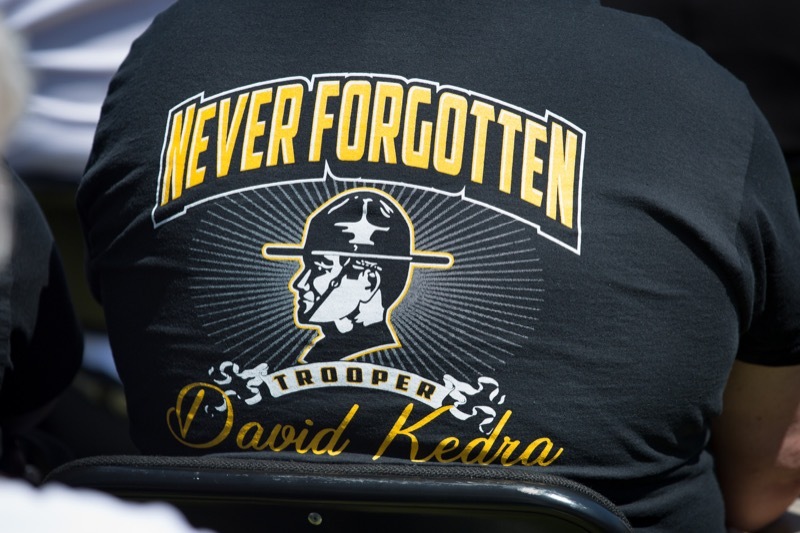 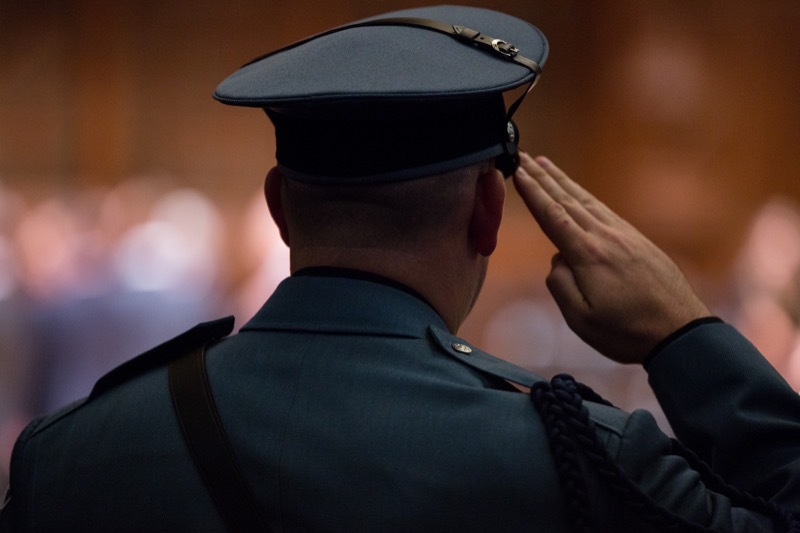 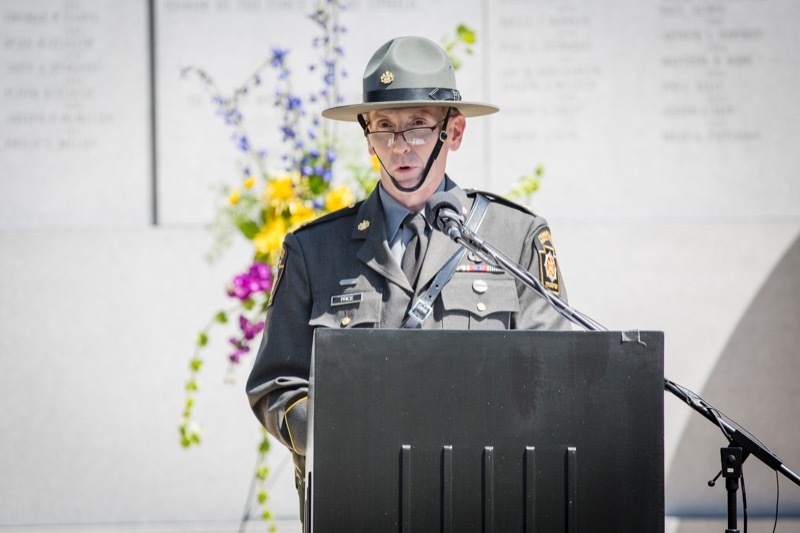 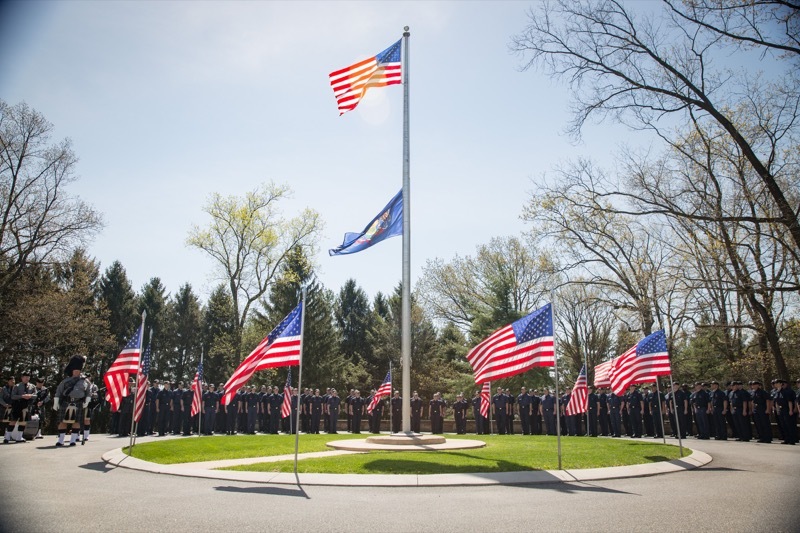 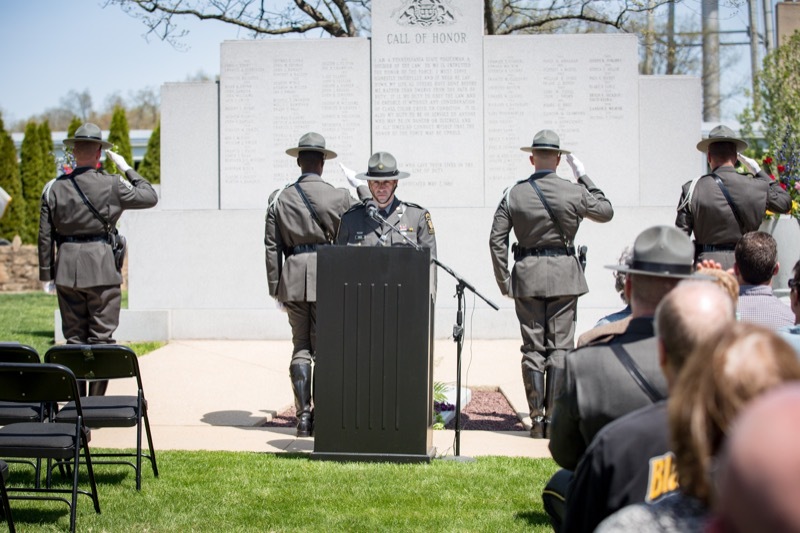 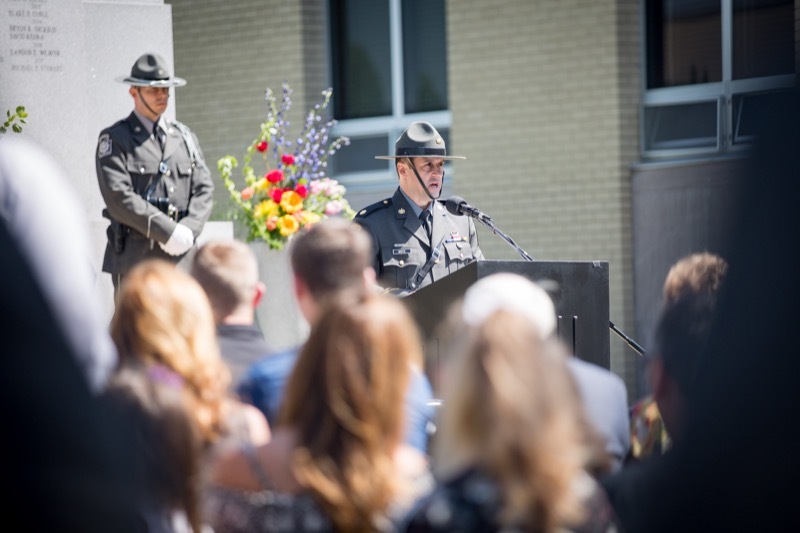 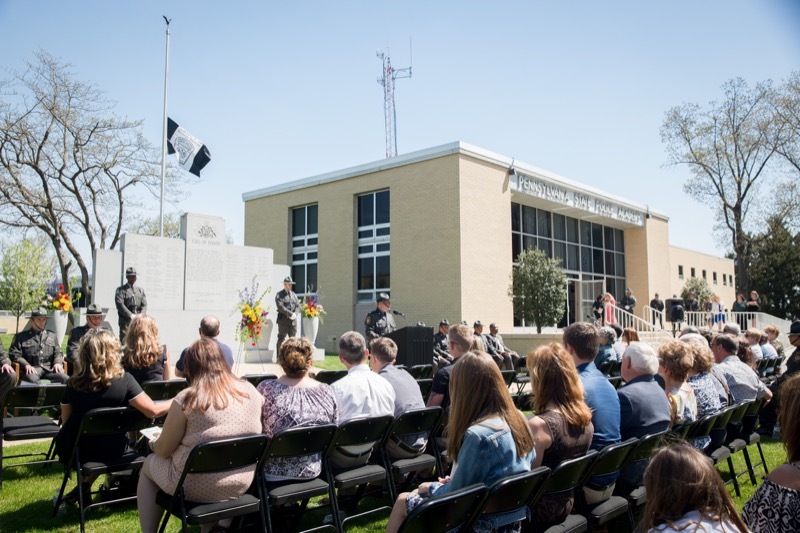 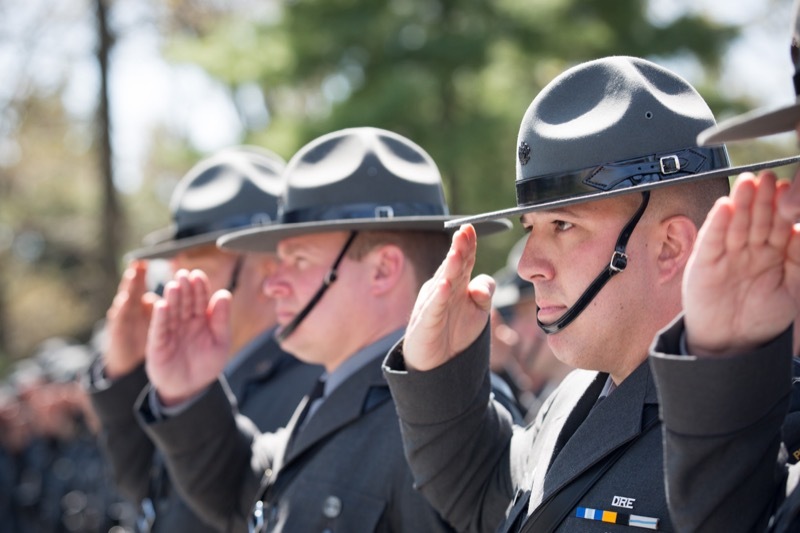 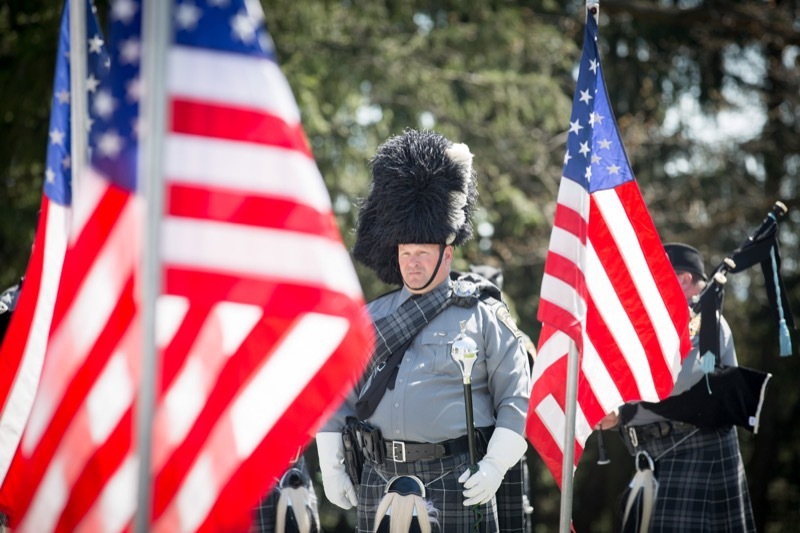 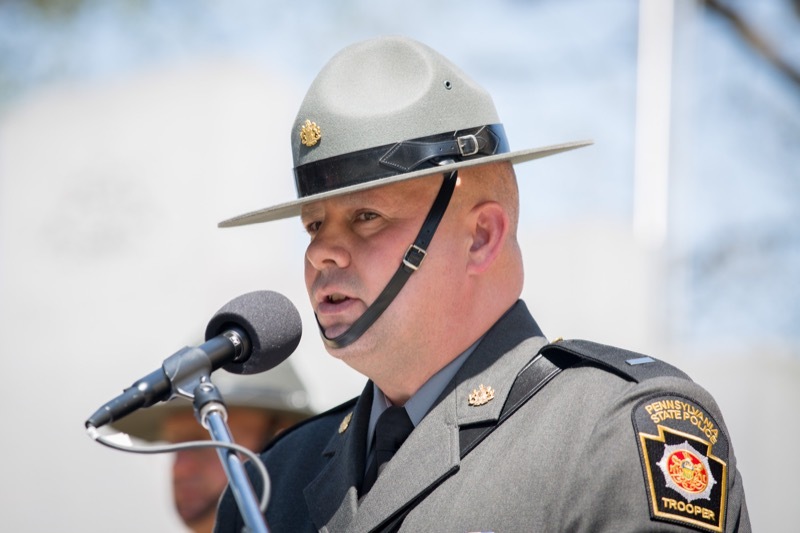 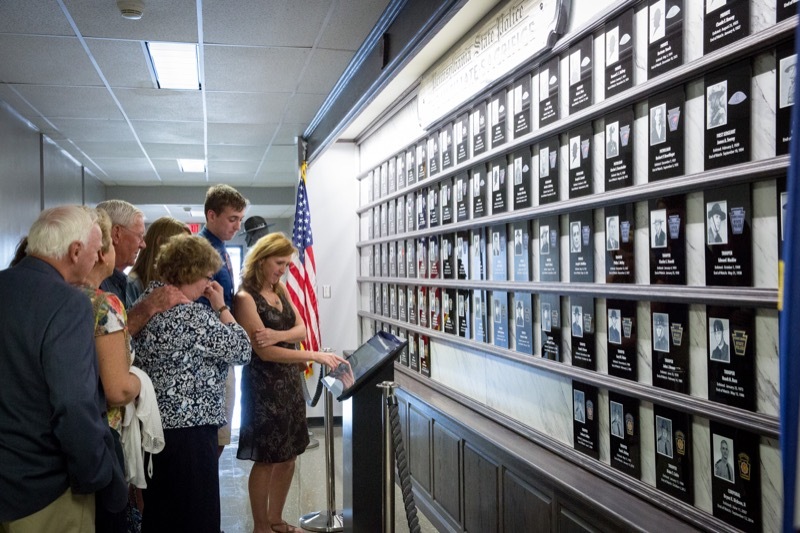 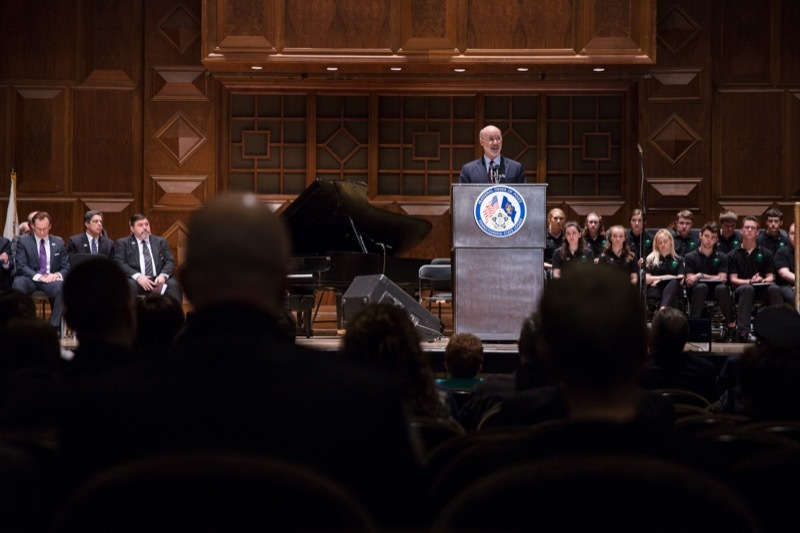 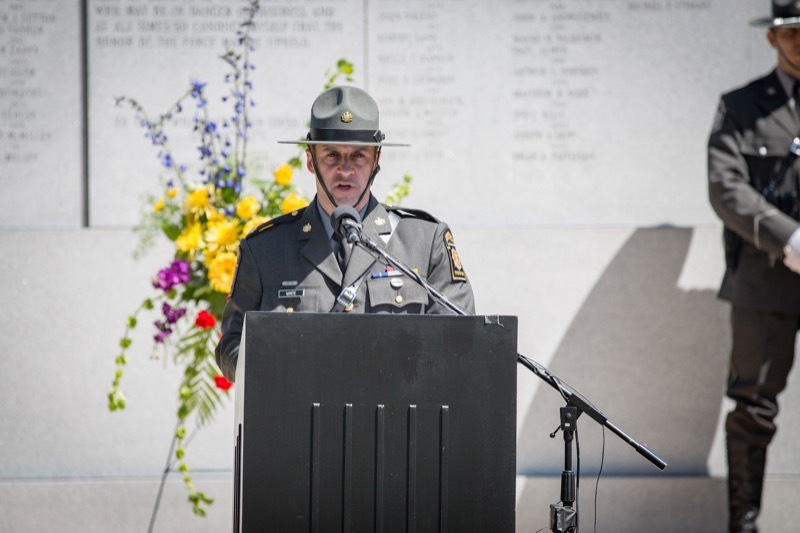 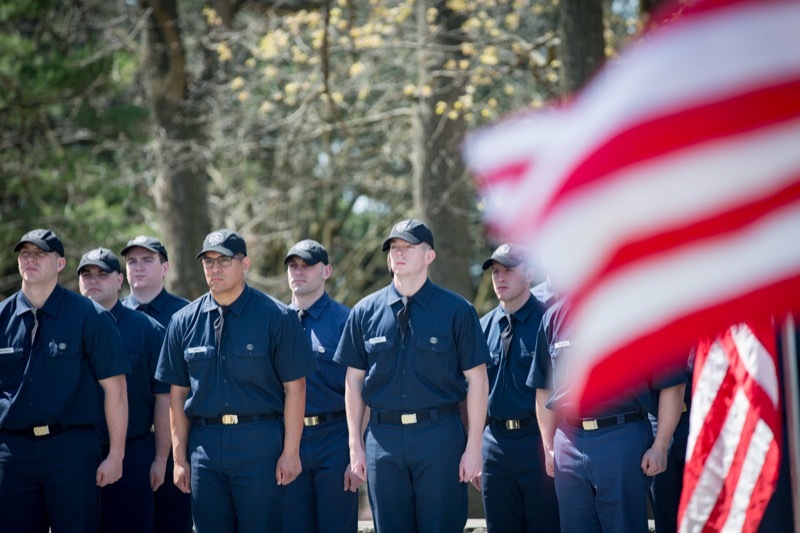 Governor Tom Wolf joined the Fraternal Order of Police for its annual memorial service, offering remarks in tribute to the fallen heroes who have served and given the ultimate sacrifice. 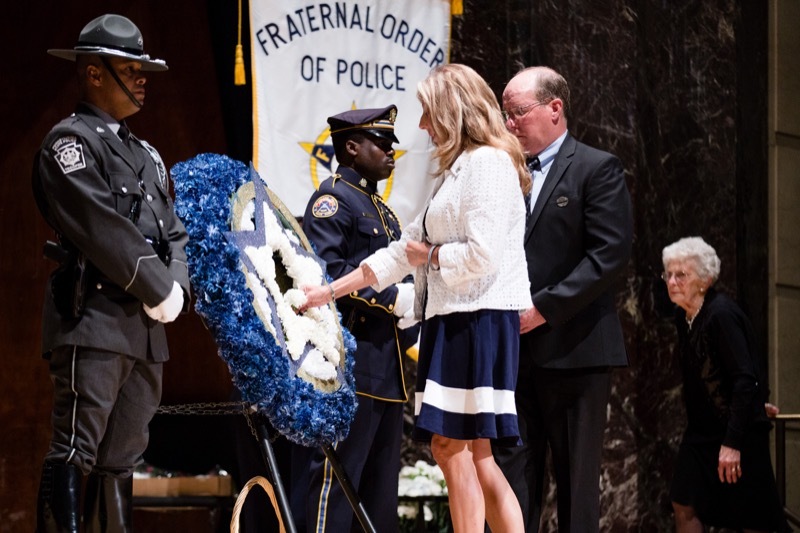 Today, Governor Tom Wolf joined the Fraternal Order of Police for its annual memorial service, offering remarks in tribute to the fallen heroes who have served and given the ultimate sacrifice. 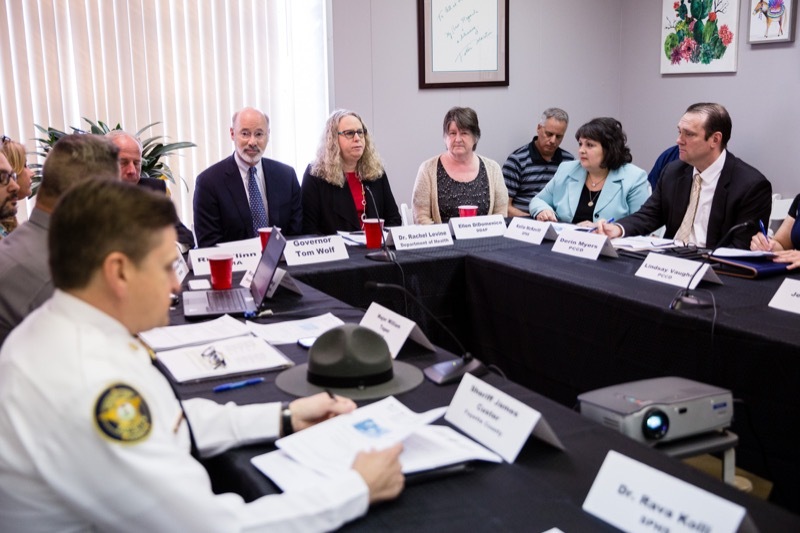 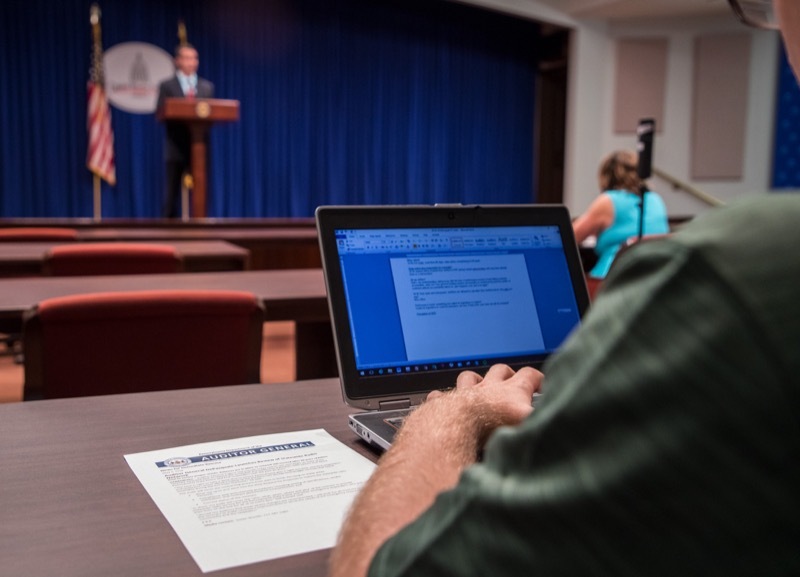 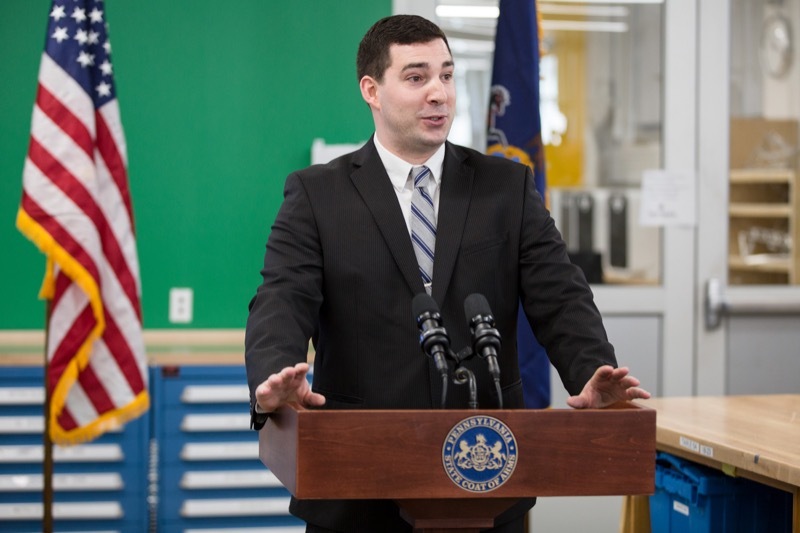 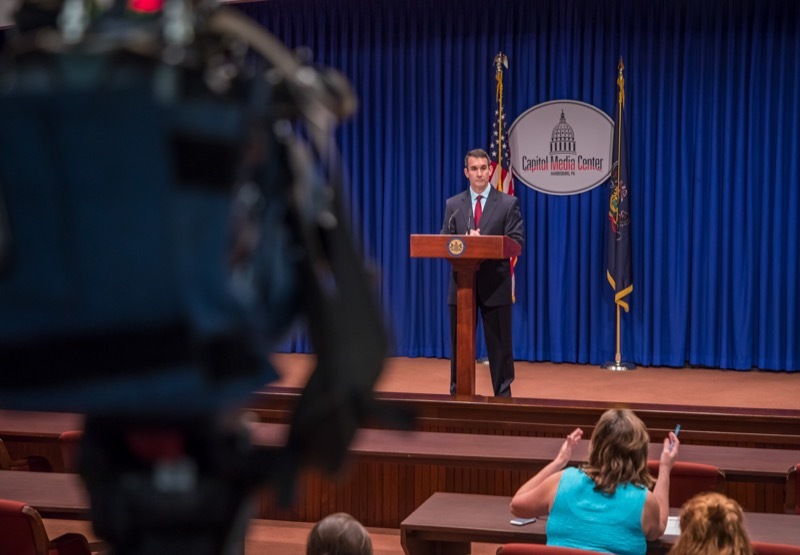 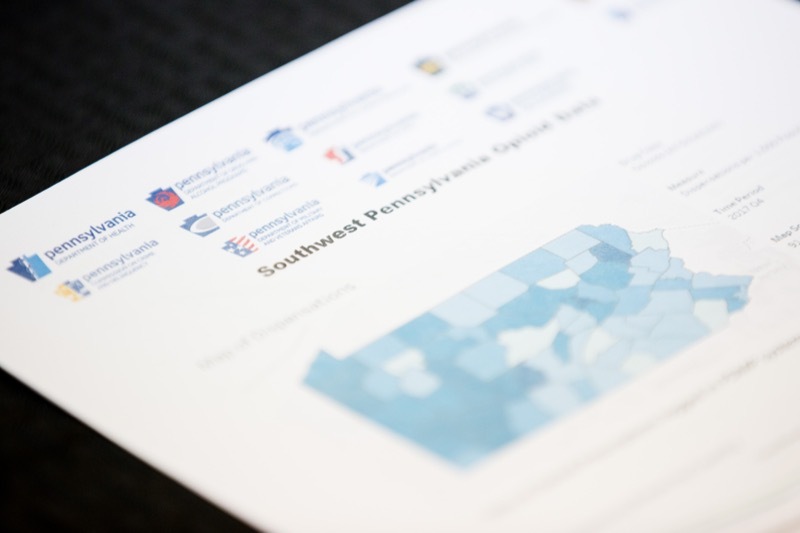 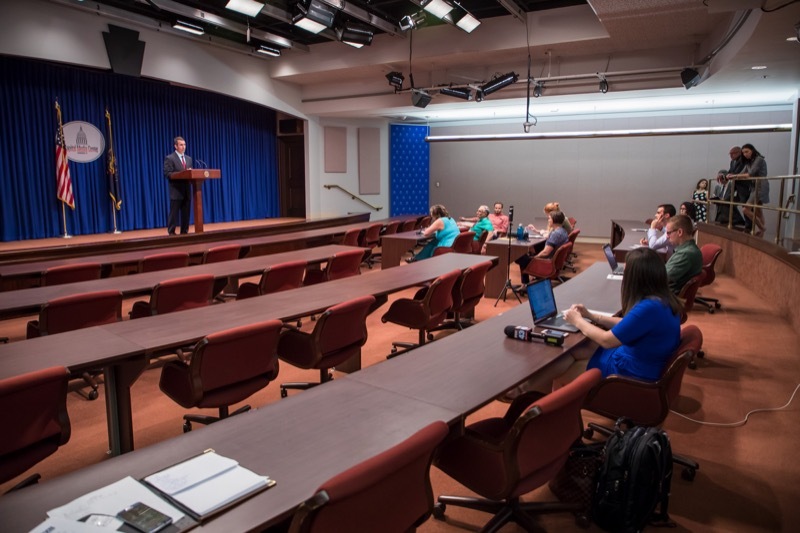 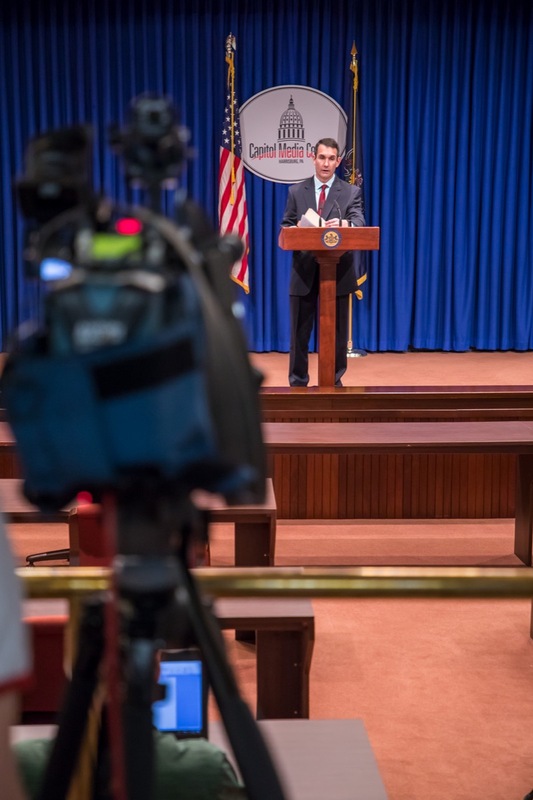 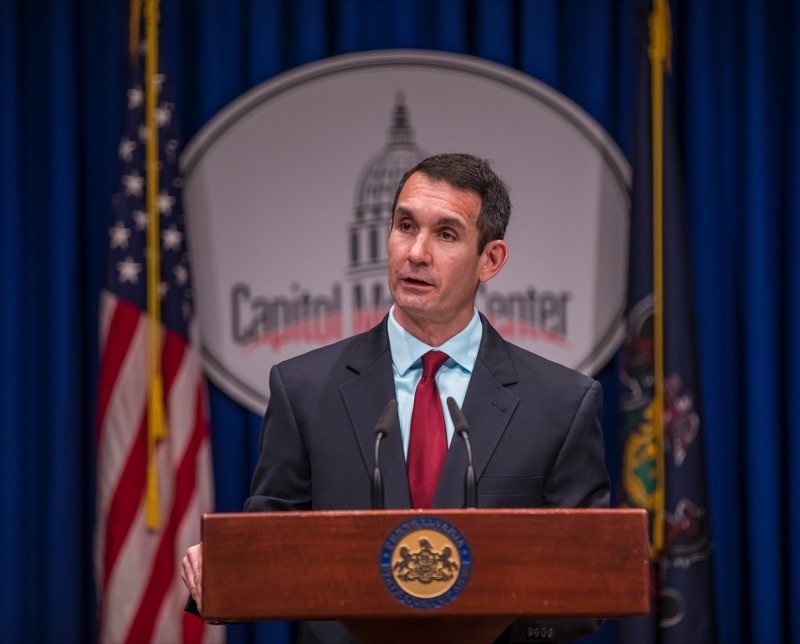 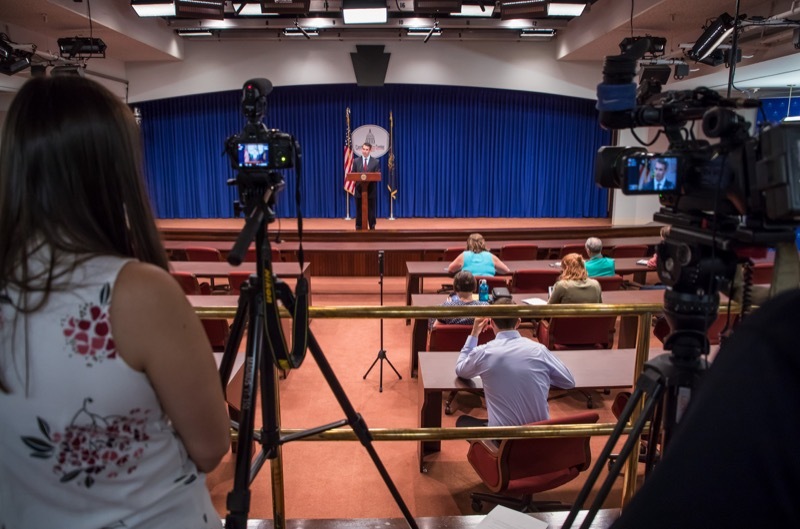 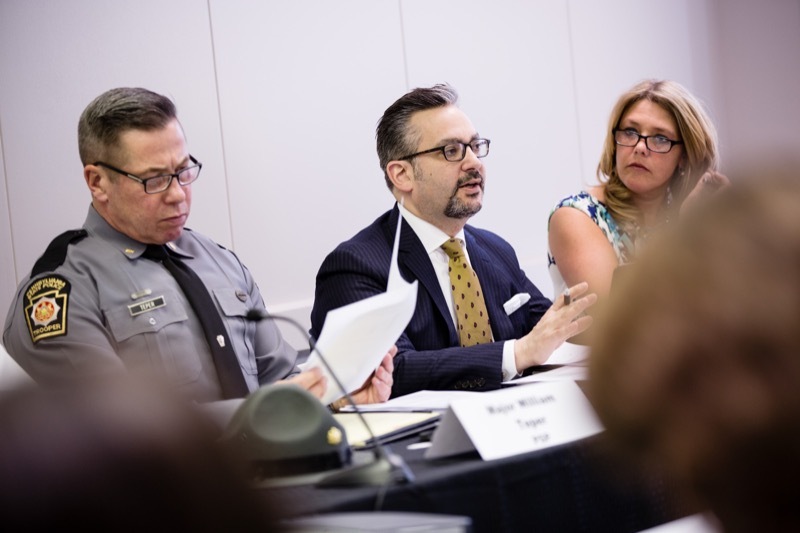 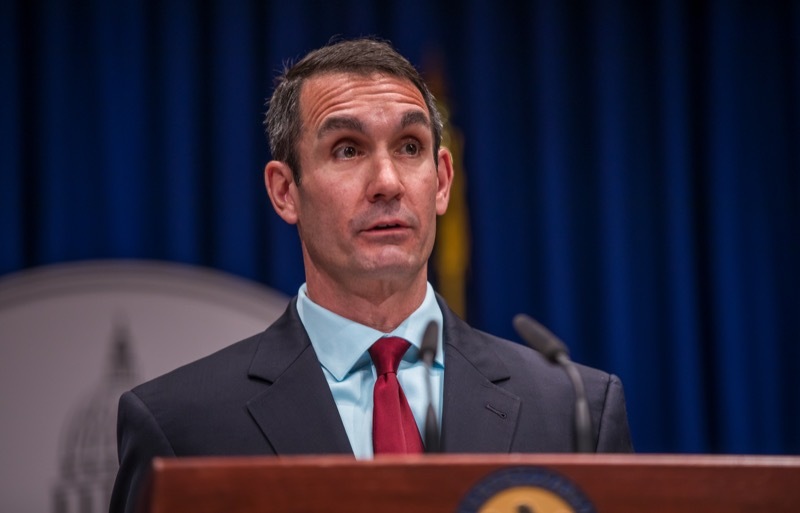 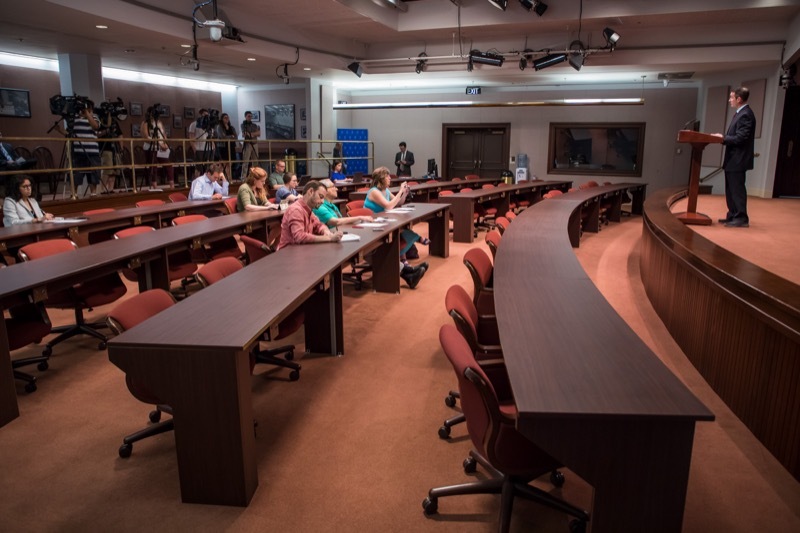 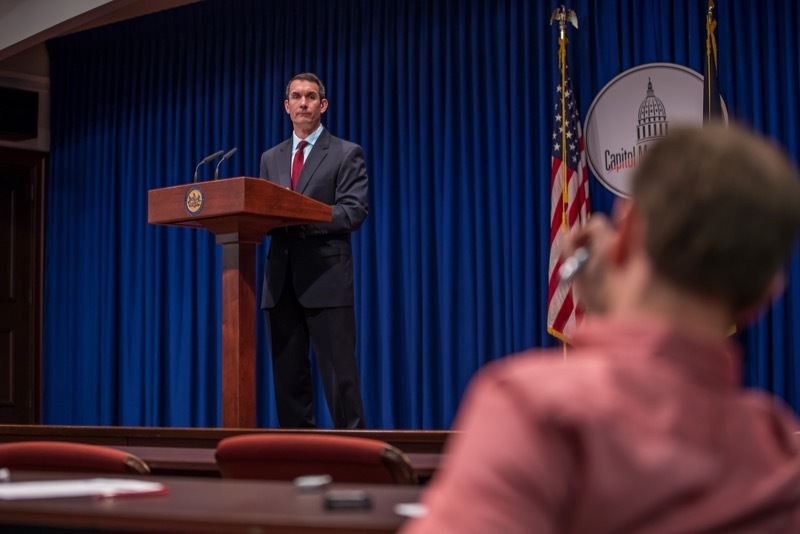 Auditor General Eugene DePasquale today said he will soon begin an audit of the recently-awarded deal to replace the unreliable and ineffective statewide radio system that failed Pennsylvania State Police and first responders over the past 20 years.